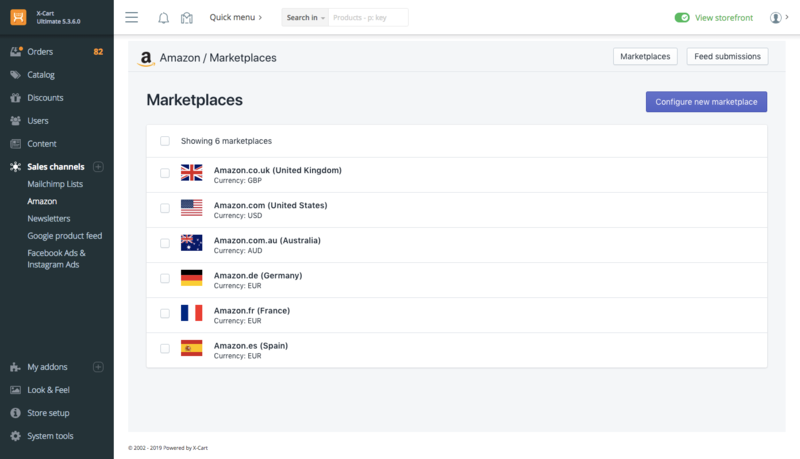 Sell on the world’s largest online marketplace by creating listings for your products or linking your existing listings to X-Cart. 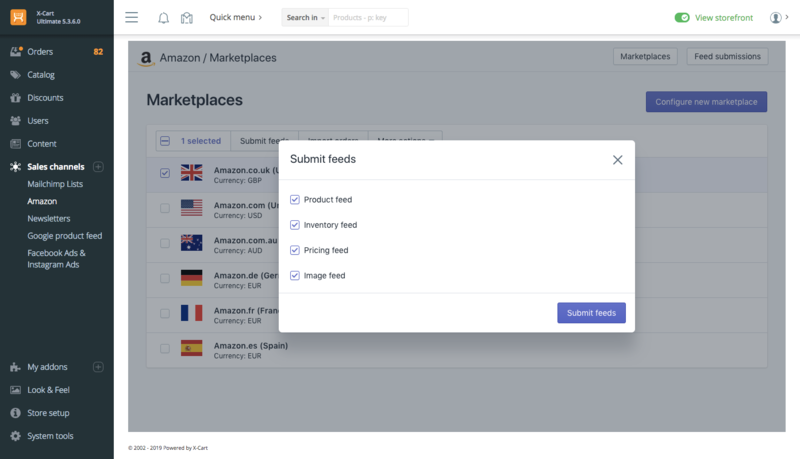 With the Amazon Feeds module, you can manage your Amazon inventory and fulfill Amazon orders from the comfort of X-Cart. Product title, image, description, quantity in stock, price, product variants and attributes. Updates to products in X-Cart catalog will apply to these products on Amazon. 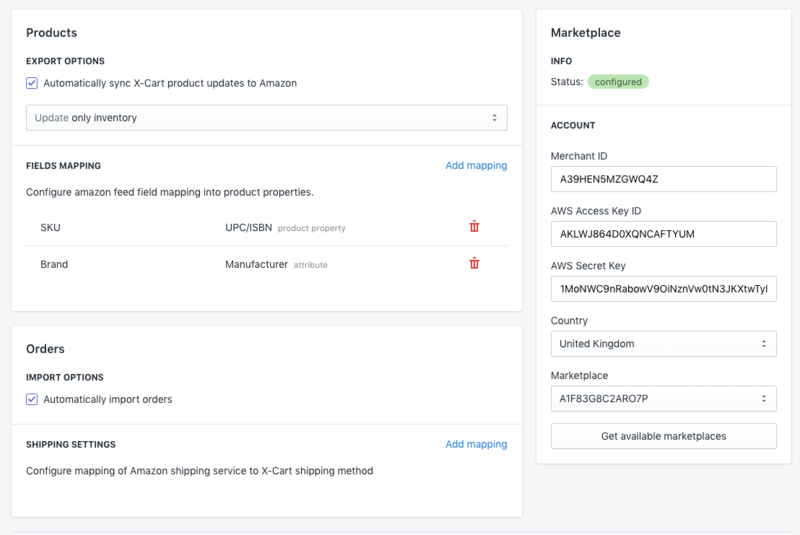 Export orders from Amazon and import them into your X-Cart store. Total, subtotal, tax and shipping cost are imported. Change the order status to "Shipped" and assign the tracking number in X-Cart, and see the order updated on Amazon accordingly. 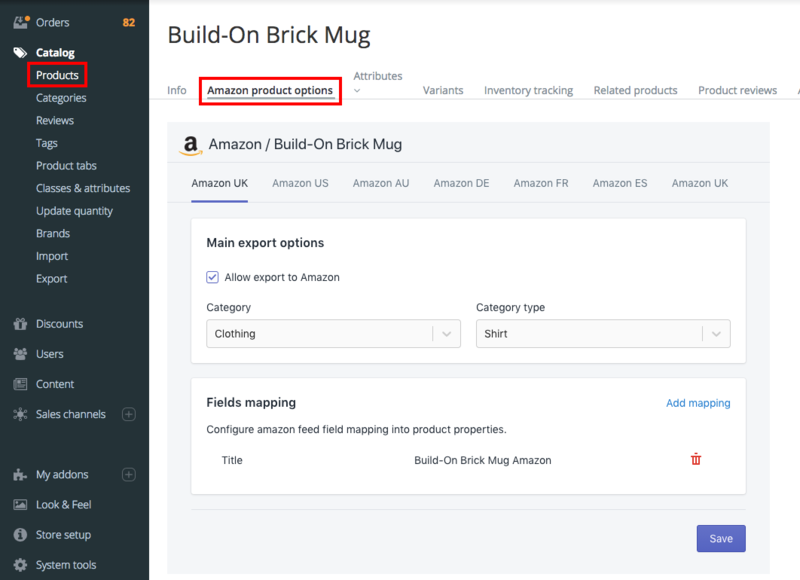 You can update your products and import orders from Amazon by cron. 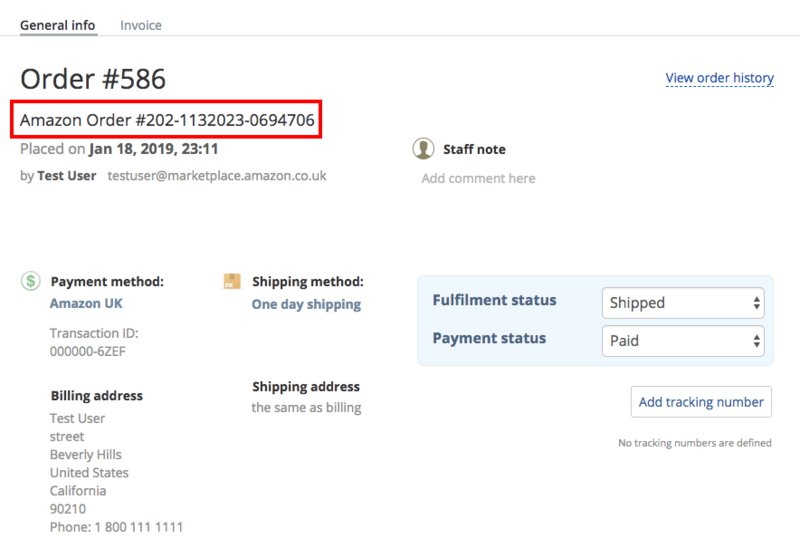 Customer's name and address from Amazon will be available in X-Cart admin backend. Why use Amazon as an additional sales channel? Amazon has already taken care of various marketing tools to help you promote your products and increase sales. Check out our guide to find out how to sell on Amazon the right way. d. Your images need to be minimum 1000px x 500px or 1000px x 1000px max. Jpg preferred. So if you've spent hours on your images here in x-cart and they are smaller then the required size or say png format then you need to start again. Whats seems like an effortless sync between your x-cart and amazon store is nothing but. 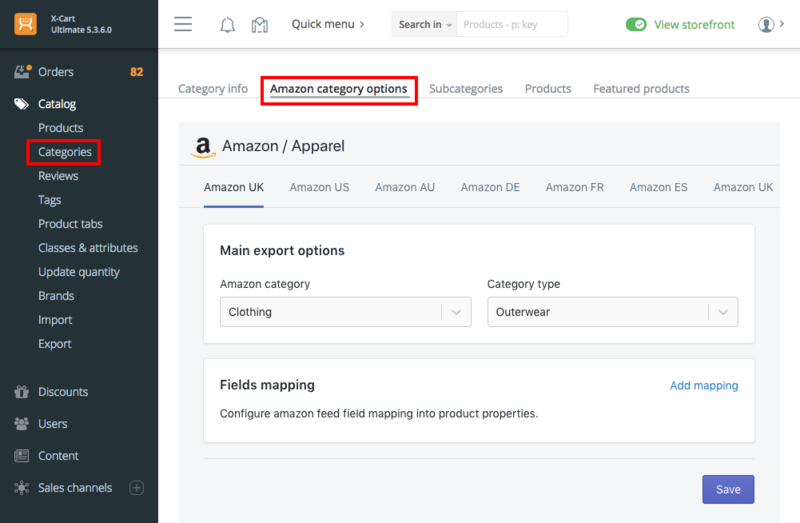 I have added products via amazon seller console as there are loads of fields that need to be filled in and required in the amazon seller console. Some of theses key points and simple 3 step set up should be on the modules page or in the kb.x-cart.com to read prior to purchasing. 2. Add a developer to your seller account then authorise this developer. 3. 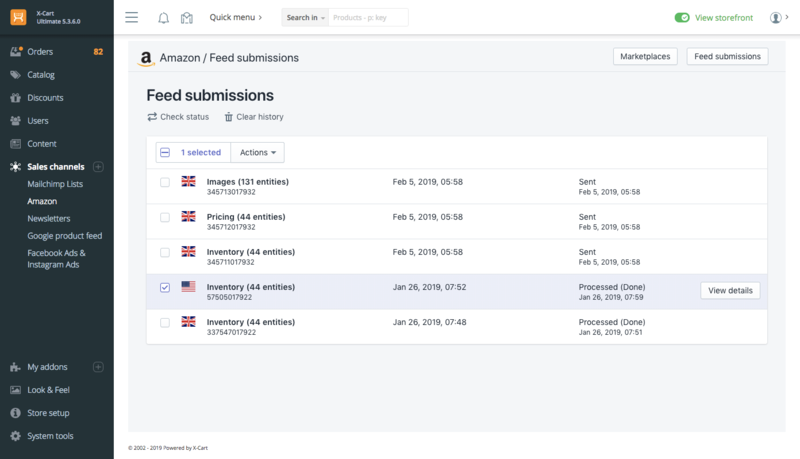 Copy and past your Merchant Token, AWS access code and secret code from this authorisation to the Amazon Feeds Module in your x-cart admin.